Appearing on ABC’s This Week on Sunday morning before Pelosi spoke out, White House Press Secretary Sarah Sanders defended Trump’s video, saying Trump does not wish ill will or violence against Omar. 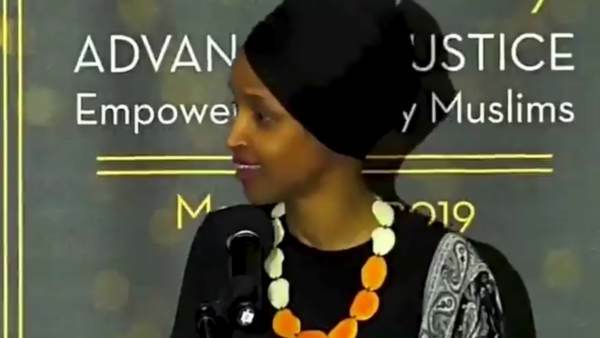 Omar made her 9/11 comment in a speech to CAIR (the Council on American Islamic Relations) on March 23 in California. 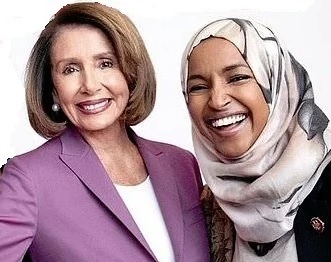 Omar falsely claimed that CAIR was founded after 9/11 to protect Muslim civil liberties. CAIR was actually founded in 1994 as a front group for Hamas, according to reports on federal surveillance at the time of CAIR’s founding. Pelosi also posted the statement to Twitter. Original video clip posted April 8 by the Imam of Peace that quickly went viral. 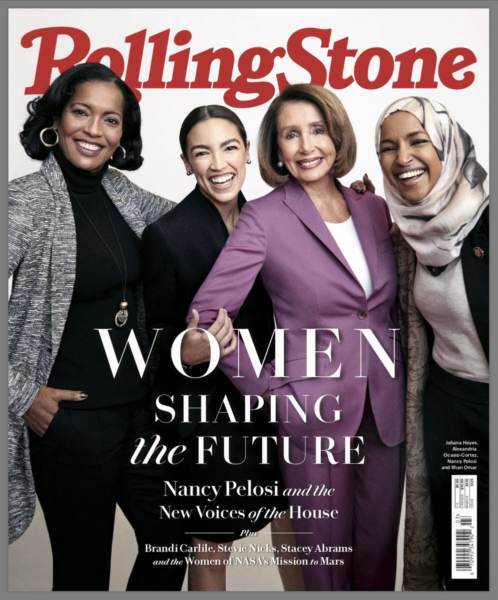 Featured Image is a cropped version of the Rolling Stone cover photo for the March issue.